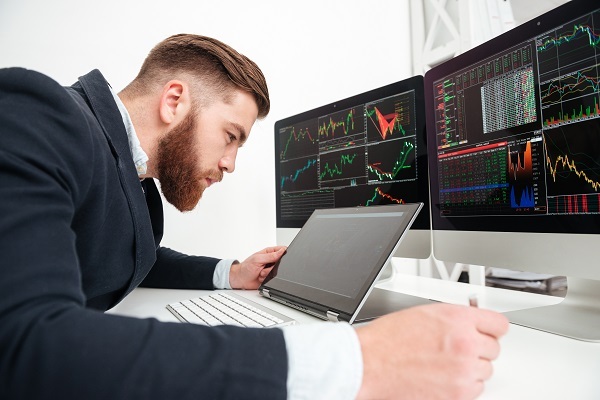 Managing the volume, variety and velocity of data is critically important to its value, but also of importance is finding ways to organize and view the information to actually be able to identify trends and shifts that might otherwise go unnoticed. Universities, especially public institutions, collect a lot of data. Between applications, enrollments, financial aid, website clicks, social media posts and everything else, data can be collected, analyzed, and reported. Nonetheless, the data may not be necessarily used to help inform decisions. The challenge is finding a way to express the data in a way that can be easily read and understood. 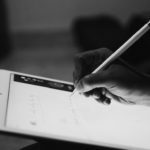 Oftentimes, what is shown is long lines of numbers or paragraphs of text that are not easily transposed into patterns or trends, and thus are of little help to enrollment managers. Enrollment managers can use this data to direct and assess the strategies imposed for growing their student number efficiently and effectively. The challenge is finding a way to manage Big Data to support their efforts. Big Data is a term that describes the large volume of data—both structured and unstructured—that floods an organization every day. 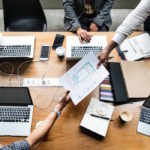 However, without a streamlined approach to corralling all of this data, enrollment managers have to weigh the time and effort of sifting through the information against the benefits the data will provide. Doug Laney, Chief Analyst at Gartner, developed the three V’s of Big Data—Volume, Variety and Velocity. Although there have been additions to this original trifecta, it is these three that I think can be either the most helpful or hindering to enrollment managers. Dashboards can be a successful solution to help enrollment managers in controlling data to support their plans. The following describes one strategy of how I used dashboards in managing student growth and making decisions. The sheer volume of data can be overwhelming. Defining what data is needed for enrollment management plans is a good first step. Not everything is needed; only worry about the data that correlates specifically to your plans. For example, I have developed specific enrollment funnels for targeted student populations. To get a better understanding of enrollment trends, the only data sets needed were specific to admissions, such as total numbers of applications, admits and enrollments. There is a lot of other data that could be included, but is unnecessary to the decisions I’m making regarding this. One of the most difficult aspects of managing data is blocking out the noise. I spent a lot of time considering what was necessary versus what was interesting. Variety of data can also be a problem. Not all of an organization’s data is rows of information or tables of numbers. Data can be text, locations, posts and more. Digging through all of these could be a full-time job on its own. Before spending that time, I have found it to be particularly beneficial to identify the specific challenges or plans regarding enrollment. I have limited recruiting resources, mainly people and travel dollars. To help identify where we have the most success, high school locations with the most applications and enrollments overlaid with the high schools with the most graduates can easily identify where resources should be spent. The final V is velocity and may be the most challenging of all. The data arrived in real time and trying to keep up with it can be all-consuming. The right dashboard can also manage this, along with a thorough understanding of when the data is needed. Real-time data is important for decisions and processes that happen daily or weekly; it is unnecessary for identifying trends and patterns, such as the identification of feeder schools for transfer students. In that case, the data can be reviewed once a semester or once a year. It is important to remember that while enrollment managers may not be able to control the speed at which data arrives, they can control the speed at which they need it. For the decisions and strategies relied upon by enrollment managers, dashboards have become a necessary tool. Controlling the data to assist in decision-making is only one advantage to a good dashboard. Dashboards can also keep an enrollment manager close to the information, allowing earlier detection of problems and identification of student trends. To truly be helpful, dashboards should focus on the major strategies of the enrollment management plan. Too many graphs, charts and tables can be as confusing as too much unstructured data. This type of data analysis and dashboard development does not happen in isolation. This should be a collaboration with offices, including the bursar, financial aid and student affairs. Most importantly, the enrollment manager must work closely with institutional research. The institutional research office is an important resource during the process. It can assist with modeling and setting up statistical analysis. The office’s expertise can assist in the data collection process and help various offices capture and code data more effectively. 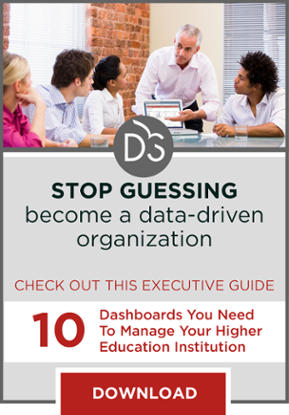 Dashboards and data analysis can be enormous tools for enrollment management. Dashboards can help a manager be more effective in their processes and more efficient in their work. However, dashboards won’t answer every question, nor will they allow for a deeper dive into the data. For that, the enrollment manager should spend time, preferably with institutional research, to dig into the data to see what the dashboard missed.